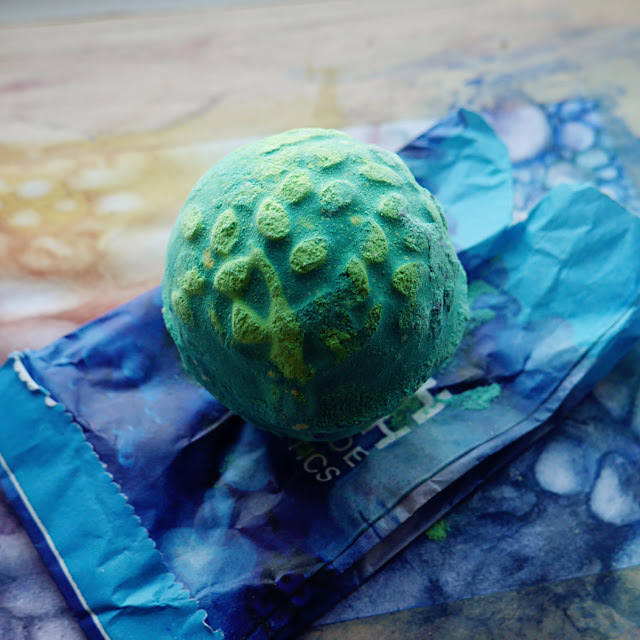 Summer + finishing work = bath bomb time! As always, when in London you need to pick up some kitchen exclusives from the Lush Oxford Store. I normally go for fruity and tropical scents in the summer but thought I would switch it up to something completely different. Carry on reading to see this beauty release it's vivid colours and to know all the deats about it! 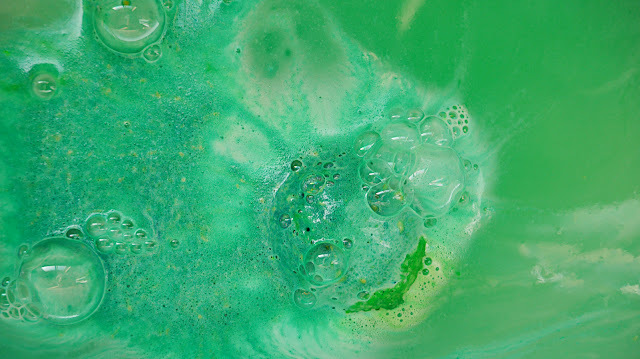 Guardian of the Forest is suppose to be a calming and mystical bath bomb. For the main ingredients, it contains Rosewood Oil that is full of fragrance, is uplifting and has antiseptic properties. Oakmoss Absolute for a relaxing mossy scent. Lime Oil to uplift and protect your skin. Lastly, Cypress oil to further relax you and provide more antiseptic benefits. 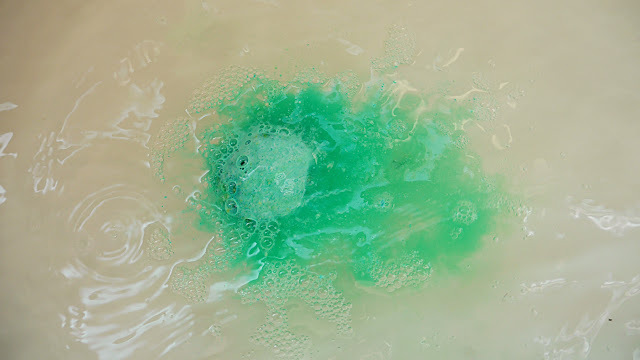 The bath bomb fizzle immediately on touch with water and transforms the water into a breathe taking lagoon with it's gorgeous vivid forest green colour. 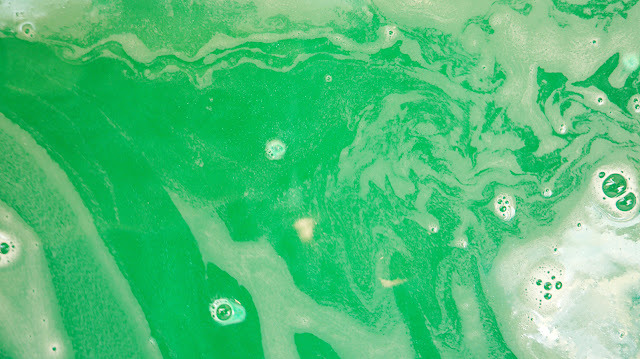 As you can see in the photos above, it creates intricate green and yellow patterns when fizzing. It was pretty entertaining to watch. 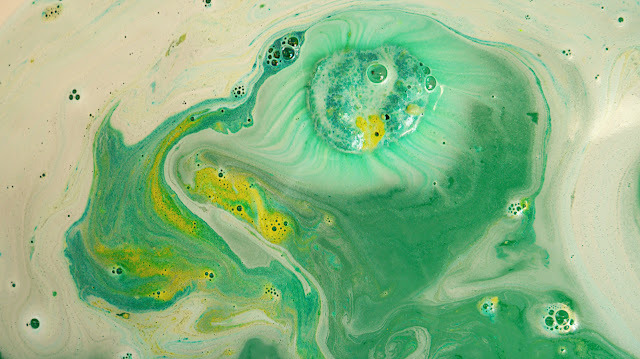 It also has cute shimmer that swirl around you, a nice touch to the mystical guardian vibes.The shimmer didn't sink to the bottom of the bath tub like their Frozen Ballistic Bath Bomb, thank god! No extra rinsing needed. Before using it, I didn't really know what to except for the scent but I ended up absolutely loving it more than I anticipated. The scent was a fresh forest mossy scent, very earthy almost like when you're taking a nice walk in nature. 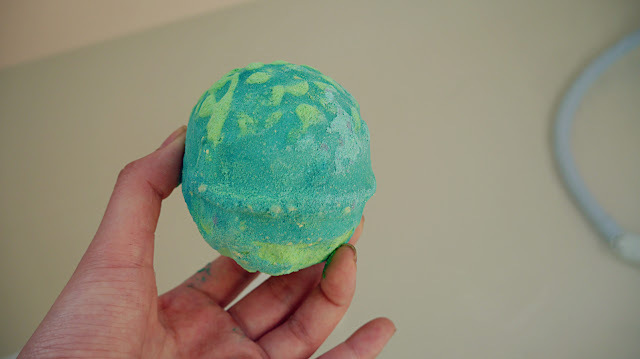 The scent was quite subtle and not overpowering, which is perfect! My skin felt hydrated and softer after using it.  The scent is very unique and fresh, great for those that are after a different surprise. The scent does linger but it's very subtle. The gorgeous green and fresh scent created a magical and calming atmosphere, that carried my mind away into a fantasy land. The bath bomb experience would of been better if I was reading a book while relaxing in it. I would definitely purchase this again.